Perhaps one of the most exciting career moves anyone can make is to start a business. However, that rush of excitement and adrenaline often comes with apprehension, intimidation, and fear of failure. How are you going to get the money you need to make a go of this? It's estimated that 50 percent of businesses fail within the first five years of operation. And while a lot of that has to do with lack of focus, motivation, and commitment, money is also an issue. 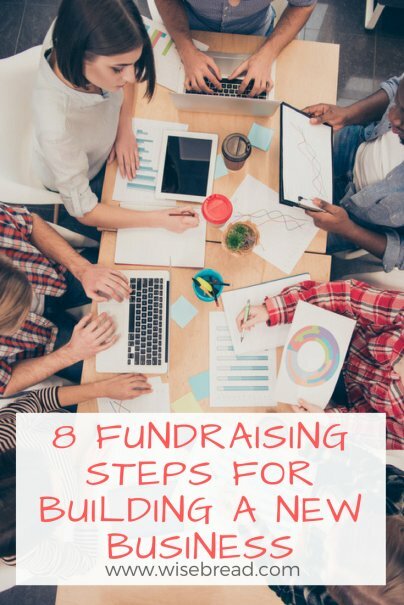 Once you've legally incorporated your business, here are some basics that will help you raise funds for your new company. Note that while angel investors, incubators, and venture capital companies are most often associated with Silicon Valley, some also work with non-tech companies. You are not going to get all the money you need to operate your business in the first round. What you will do is go through different stages of funding, building up to greater amounts of money as the business becomes successful. Think of it like weightlifting. You would never go into the gym and start with the heavy rack; you work up gradually, making progress and using those gains to lift larger amounts. What will it take to get your venture off the ground? This can't be some arbitrary figure plucked out of the air. It should be based on operating costs (including paying yourself a salary) for at least six months. Some expenses will be one-offs, such as purchasing manufacturing equipment, and others will be recurring. That all needs to be added into the mix. Don't forget utility bills, employee pay, and costs that can vary from month-to-month. Consider how you will grow over that six-month period. You may need to buy a lot more inventory or supplies in month six than in month one, especially as demand booms. You don't want to be in a situation where you cannot fulfill orders or give customers what they want. Disgruntled customers will quickly move to another business. It's unlikely that you're going to be able to completely fund your new business with money from friends or family. However, some new businesses have done this (it's known as bootstrapping), and it will all depend on the size and scope of your business, and just how wealthy your inner circle is. Starting here is the best way to take your first tentative steps into acquiring the seed money you need, because these people know you, trust you, and want to see you do well. Of course, people also say that you should never mix business with pleasure, and it's true that doing so can cause problems. If you decide to go this route, make it all official. Hire a lawyer to draw up the paperwork and the terms of the loan. You may give away shares in your business in exchange for the cash, or promise a return on the investment. Do not simply shake on it. Chances are, your business is in its infancy and does not need millions of dollars to get off the ground. Whether it's a restaurant or bar, a salon, a new product, or a service, you will usually be able to get it off the ground with a small business loan from a bank or credit union. However, qualifying for that loan is not always easy. You are no doubt aware of crowdfunding platforms like Kickstarter and Indiegogo. These websites give you the tools to reach millions of potential investors around the world, and you don't have to rely on one or two "angels" (investors with deep pockets) to get your business off the ground. Thousands of people can donate as little as $5, but you must have a product, project, or service that is compelling and innovative to make this work. Most businesses on the platforms are offering a great new gadget or device, and will give investors the chance to own it at a discount in return for getting in early and funding the initiative. However, it's not all about physical goods. Music and movie projects have been launched via crowdfunding, as well as food products, art, and even comic books. If you have an interesting story to tell, and something tangible, you should do well. Just make sure you set a financial goal that is attainable, or your business will not get fully funded. Before you get to the angel investors and the venture capitalists, see if your startup would benefit from an "incubator." As the term suggests, these funds are designed to help nurture a fledgling business and help it grow. Entrepreneur defines an incubator, or business accelerator, as: "An organization designed to accelerate the growth and success of entrepreneurial companies through an array of business support resources and services that could include physical space, capital, coaching, common services, and networking connections." Should you need it, you will be given office space at below-market rates, plus coaching and other assistance for the day-to-day operations of a small business, as well as many other advantages. Of course, all of this comes at a price, and that will usually be a chunk of equity. But if this kind of startup business model suits your needs, visit the International Business Innovation Association to learn more about incubators and accelerators in your area. Unlike venture capitalists, angel investors work alone. They are independently wealthy people with a large amount of money that they want to invest. Angels are a better option than venture capitalist firms, because they bring with them a more personal approach to their investment. They will offer you advice on how to use the money, and will no doubt have a list of valuable contacts that you can tap into to help grow your business. Angel investors want you to succeed, and not just because they will profit from it. But don't mistake their personal touch for a laid-back approach to their investment. They want you to have all your ducks in a row, and will want to know your plan. Not for the next few months, but for the next few years. Rich people don't get rich by slacking with their investments, so be buttoned up before you find one. Venture capitalist (VC) firms will usually not get involved in your business unless it is worth their time. Venture capitalists want to invest millions of dollars and see a substantial return on that investment. Therefore, a VC is going to be an option for you once you have established your business and can show a healthy balance sheet and massive growth potential. Cash is king in a startup. It's also one of the key reasons a startup will fail. Whether you get $5,000 or $500,000, your approach to the money should be the same. Get spending under control. Meticulously track money coming in and money going out. If you can afford it, hire an accountant to help you keep the books in order and flag possible concerns. And whatever you do, do not look at just the profit you are making. It can be deceptive to see that number without context. Look at cash flow, and add in all of your expenses, debts, accounts payable, and inventory if applicable. Remember, inventory stockpiled on the shelves is not making you any money.